Sony Classical and Madison Gate Records proudly announce the release of Passengers (Original Motion Picture Soundtrack) featuring music by Thomas Newman. The soundtrack will be available December 16. 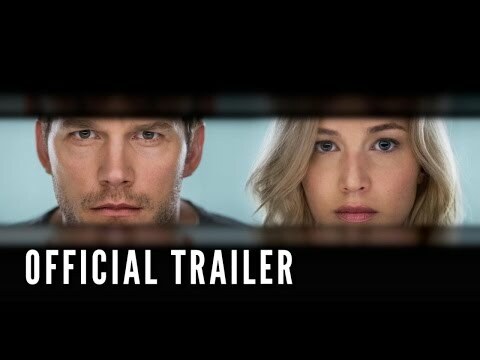 The Sci-Fi film Passengers will arrive in theatres December 21. The Sci-Fi Adventure follows the spaceship “Starship Avalon” in its 120-year voyage to a distant colony planet known as the “Homestead Colony” when malfunctions occur in two of its sleep chambers. Jennifer Lawrence (The Hunger Games, American Hustle) and Chris Pratt (Zero Dark Thirty, The Magnificent Seven) are two passengers onboard a spaceship transporting them to a new life on the new planet. The trip takes a deadly turn when their hibernation pods mysteriously wake them 90 years before they reach their destination. As their characters Jim and Aurora try to unravel the mystery behind the malfunction, they begin to fall for each other, unable to deny their intense attraction only to be threatened by the imminent collapse of the ship and the discovery of the truth behind why they woke up. Passengers is directed by the Morten Tyldum, director of The Imitation Game. For updates, please visit https://www.facebook.com/PassengersDerFilm/ and https://twitter.com/passengersmovie.